Texas Institute of Letters announces that The Harness Maker’s Dream is a finalist for their Carr P. Collins Award for Nonfiction. The Texas Institute of Letters has announced that The Harness Maker’s Dream is a finalist for their Carr P. Collins Award for Nonfiction. The awards are for works appearing during calendar year 2013. 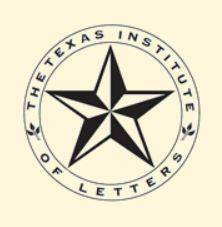 The Institute was founded in 1936 to recognize literary achievement and to promote interest in Texas literature. Authors must have lived in Texas for at least two years or their works must relate to the state. The Texas Institute of Letters has announced that The Harness Maker's Dream is a finalist for their Carr P. Collins Award for Nonfiction. 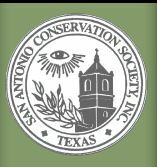 SAN ANTONIO - Author Nick Kotz discusses his book titled: The Harness Maker's Dream Nathan Kallison & the Rise of South Texas. The book is about the Kallison family and their journey escaping anti-Semitic laws in Europe, and finding a new home in Texas. Kotz will be at the The Twig Book Shop (306 Pearl Pkwy, San Antonio) on Dec. 6, 5-7pm, and during the Tamale Festival on Dec. 7, 3-5pm. 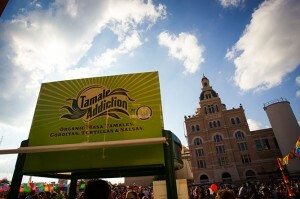 If you're San Antonio today head over to the Tamales at Pearl Festival. Nick Kotz will be there from 3-5. Grab lunch and learn how Nathan Kallison escaped from Russia and built a new life in the Great State of Texas! It's free and open to the public. Click here for more information. 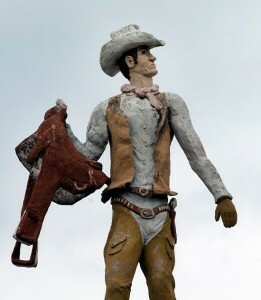 The old statue of a wiry-bodied cowboy in leather chaps, vest, boots and hat, holding his saddle in his right hand, with six-shooter hanging from his left hip, still stands atop the former Kallison's store on South Flores Street, just south of the Plaza de Armas. That image, immortalized on the cover of Nick Kotz's fascinating new history of the pioneering Russian Jewish merchant-rancher Nathan Kallison and his remarkable family, is an appropriate symbol for the entire Kallison family enterprise, once a dynamic civic presence but now faded from prominence. Adopted as a teenager by Jacob Kotz, M.D., of Washington, D.C., upon his mother Tibe's second marriage, Nick Kotz brings to this book the great advantage of being Nathan Kallison's grandson. He is a Pulitzer Prize-winning reporter and author of six other books who has written for the Washington Post and Des Moines Register. As a result, “The Harness Maker's Dream” is a richly detailed and movingly told story of the rise and transformation of a family that for over a half century made leading contributions to the development of retail merchandising for regional farm and ranch families, real estate development downtown, cattle ranching in South Texas and local philanthropy. The book is all the more remarkable for the fact that Kotz candidly admits in an afterword he initially knew little of the family history. He was extremely fortunate, he writes, to make connections with long-lost relatives via his own Internet research who helped him fill in significant gaps in the family history, even conveying cellphone photos of tombstones found in a family cemetery in Chicago. Kotz also freely credits Dr. Char Miller, formerly a professor at Trinity University now serving as the W. M. Keck Professor of Environmental Analysis at Pomona College, with suggesting he write this history. No doubt Miller, well known for his own essays chronicling the development of San Antonio businesses with significant impact upon land and water, would be pleased this book is as much about the development of San Antonio and its rural environs over the first seven decades of the 20th century as it is a history of the Kallison family. There is no doubt, from the record Kotz lays out, that Nathan Kallison was a force of nature. So, too, was his wife Anna, also a Jewish immigrant whom he met after escaping from czarist persecution in his native Ladyzhinka, Russia, and landing in Chicago with only his knowledge of harness making to help him earn a living. Kotz very eloquently describes their rapid rise to affluence and prominence in the Temple Beth-El community, and San Antonio civic life, after arriving in San Antonio in 1899 with very little in their pockets. 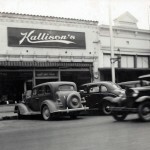 Kallison created a successful business model with the first store in San Antonio crafting handmade harnesses and saddles. In telling the story of their business ups and downs, Kotz fleshes out Nathan's and Anna's driving personalities, as well as the dramatically varied characters of their children, including Morris, Pauline, Bertha (known as “Tibe”), Perry and Frances. In recounting this family saga, Kotz can astonish the reader both by his capacity for describing the development of the Jewish community in San Antonio and his candor in revealing the family conflicts and management problems that, after decades of smashing success, tragically brought all the Kallison enterprises to financial ruin in the 1960s amid the rise of suburban shopping centers and big-box stores. In the midst of that saga, though, Kotz also sketches evocative scenes of street and civic life in early central San Antonio, of life during the Depression and the great drought of the 1950s on the Kallison Ranch, which Nathan and Perry developed (now part of Government Canyon State Natural Area), of Perry's adventures as a beloved radio show host for many years, of their loyalty to their customers during hard times and the creative advertising techniques they employed to build their business. 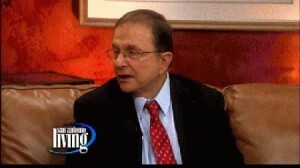 Kotz does not shrink, either, from recounting the local social conflicts, including the pecan shellers' strike of 1938 and the Ku Klux Klan's burning of a cross in front of the Jorrie family's furniture store in 1955, which affected the Kallisons, their Jewish friends and the community as a whole. 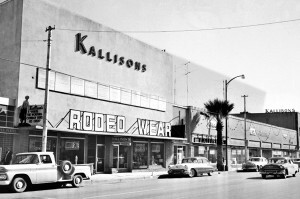 A treasure trove of wonderful family photographs depicting family members over the decades — at the store, the ranch, in civic activities — and of Kallison properties in their heyday, plus an extensive index, bibliography and footnotes, round out this story. So, too, do Kotz's concluding reflections on how the family has been transformed over time: successful, professional descendants. At a time when many Americans question the value immigrants bring to our country, “The Harness Maker's Dream” amply demonstrates how such families can thrive, survive apparent failure and continue to enrich our communities. Ed Conroy is a San Antonio writer. Reach him at econroy53@gmail.com. Nick Kotz discusses and signs copies of “The Harness Maker's Dream” from 5 to 7 p.m. Dec. 6 at the Twig Book Shop at the Pearl Brewery. After many years as a journalist—investigating presidents, congressmen, and labor union officials, examining the military-industrial complex, civil rights and social justice issues—I never imagined that the most challenging and rewarding story would be about my own family. 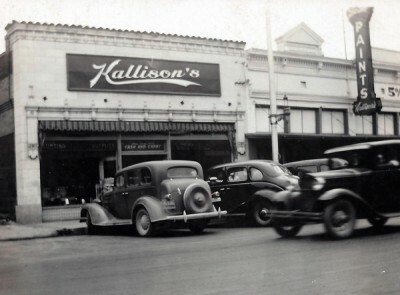 Growing up in San Antonio, I knew little about my Kallison grandparents in whose home my mother and I lived for the first twelve years of my life. 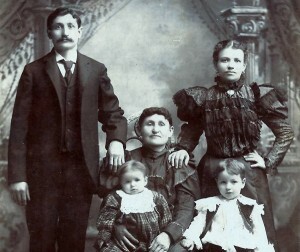 They were two of 23 million men, women and children—two million of them Jews from Russia and Eastern Europe—who surged into the United States from 1880 through 1920—and they rarely spoke of their pasts. Why hadn’t I asked them about their early lives: Where in Russia were they born? What was it like living as Jews under the autocratic thumb of an oppressive czar? How did they escape from Russia? Why did they come to Texas? How did they grow their harness shop into the largest farm and ranch supply business in the Southwest? 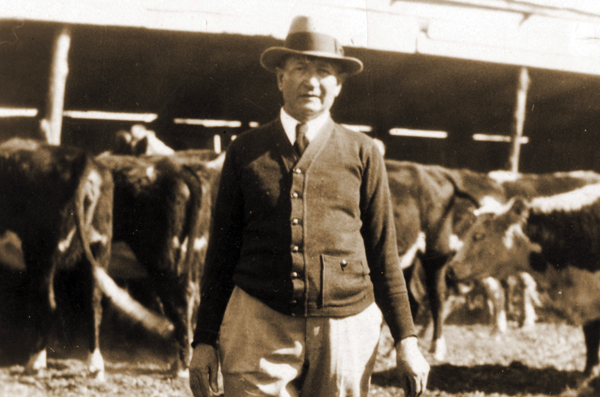 How did a Jewish merchant become a path-breaking Texas rancher? I had plenty of opportunities to ask those questions and many others. Yet I knew more about Sam Houston and his victory in the Texas War of Independence from Mexico than I did about my own grandparents’ escape from a different revolution in Russia. I have discovered that my lack of knowledge about my forbearers is not an unusual phenomenon. Like the Kallisons, millions of American families have poorly documented and preserved their past—a loss for the families themselves and for a wiser understanding of our nation’s history. With the Internet and digitization of so many primary source documents, unearthing your family’s past now is possible even for amateurs with limited computer skills. Key to the exploration of my roots was a Google search of the Kallison name followed by a letter-writing campaign to those who shared it. Of the 100 letters sent, several bore fruit. One distant cousin provided a family history tracing a common ancestor to the tiny Ukrainian village of Ladyzhinka. Googling that town name led me to the Waldheim Cemetery in Chicago where photographs on headstones revealed identities of unknown ancestors in our family photos: my grandfather’s older and younger brothers, Jacob and Samuel Kallison and their mother Dina Elloff Kallison. 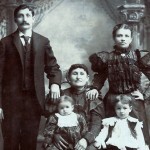 Using ancestry.com and fold3.com (formerly footnotes.com), I accessed ships’ logs, census documents, military records, marriage and death certificates, fifty years of city directories, and even high school and college yearbooks. Those primary sources yielded invaluable information about my grandfather, his extended family and the world in which they lived. The census documents alone were a treasure trove of information. Beyond names, addresses, ages, occupations, income, immigration information, and citizenship status, they revealed who could read and write in English, who suff ered the loss of a child, who had servants or took in boarders, even who owned a radio in the early 20th century. At Newspaperarchives.com, I found a story on published poll tax lists noting that Nathan Kallison was among those who paid for the “right” to vote in Texas in 1911. Spanning decades, I found hundreds of ads for the Kallison’s downtown store and their Bexar County ranch showing the growth of the family’s dual enterprise. Even the local society pages yielded important minutiae from the everyday lives of Nathan and Anna Kallison and their four children: Parties attended; piano recital pieces; debating team topics; roles in school plays; membership in religious, charitable, and community organizations. Together, they gave me a unique picture of who the Kallisons were and what they valued. For anyone interested in delving into their own family’s past, agencies at all levels of government are digitizing records. It surprised me to discover that in 1927, during Prohibition, the U.S. government indicted my grandfather and Uncle Morris Kallison for violating laws against the production, sale, and transport of alcoholic beverages. I read the court transcript and looked at the photographic evidence against them using digitized National Archives records. I also easily accessed Bexar County, Texas’s amazing collection of online files. Among the land records, licenses, and agreements, I found the 1902 contract for the first parcel of land purchased by my grandparents–who as Jews were denied that right in the Russia of their youth. My grandfather signed his name in Hebrew script; my grandmother, with an “x.” I now realize that the most important history of our country is not found in the grand events of wars and presidencies, but rather in the everyday lives of our citizens: how they worked hard to support their families; how they coped with hardships, discrimination, and human tragedy; and how they contributed to their own communities and nation. There has never been a better time to research your own family’s past. That is the story only you can tell. Nick Kotz’s book The Harness Maker's Dream: Nathan Kallison and the Rise of South Texas was published recently. Kotz has received the Pulitzer Prize for National Reporting, the National Magazine Award, and the Robert F. Kennedy Memorial Award, among others. In the new “The Harness Maker’s Dream,” Nick Kotz writes about his grandfather, Nathan Kallison, a notable San Antonio merchant and rancher. The story echoes that of many Jewish immigrants at that time. A 17-year-old boy with the skills to turn leather into horse harnesses comes to America in 1890 to escape the Cossacks. But Kallison’s story takes a turn. Within four years, he opens his own store in Chicago’s Jewish West Side. Nine years in, he has moved to San Antonio to open up a store that would cater to ranchers and farmers throughout South Central Texas. Within 20 years, he buys a ranch and the family helps champion the Polled Hereford breed of cattle. 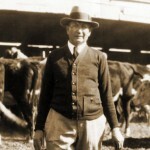 He revolutionizes ranching and farming when cattle drives were coming to an end and droughts were common.